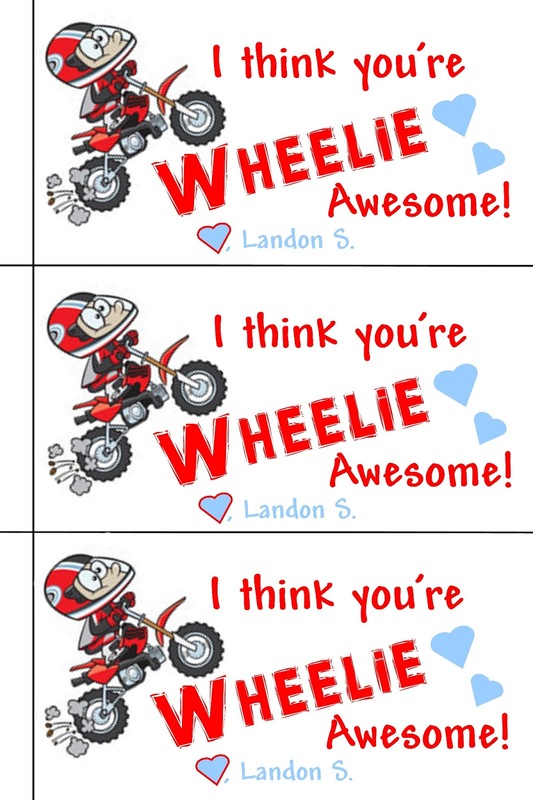 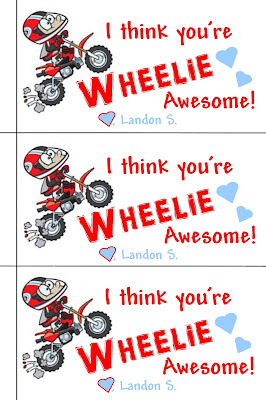 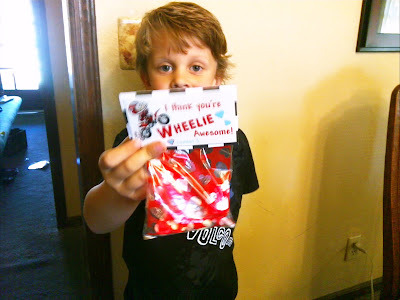 Here are the Valentines Landon passed out this year. They were fun, and very easy to make! 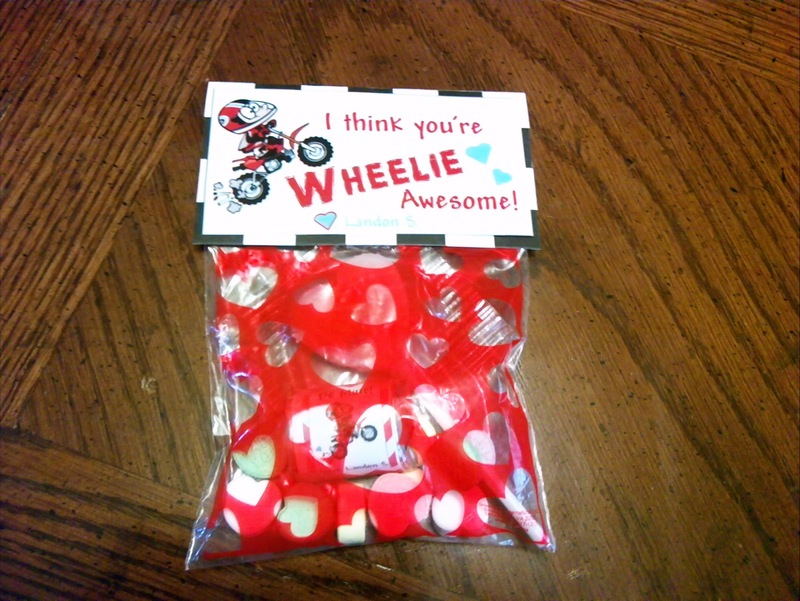 I designed the Valentine and had them printed at Walmart's 1 hour photo. 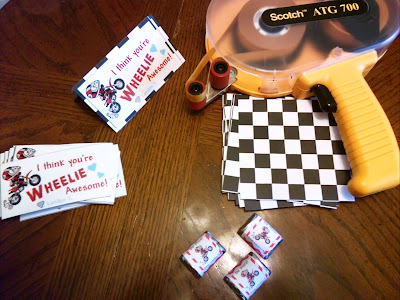 The pictures are cut out and attached to scrapbook paper to make the bag toppers. 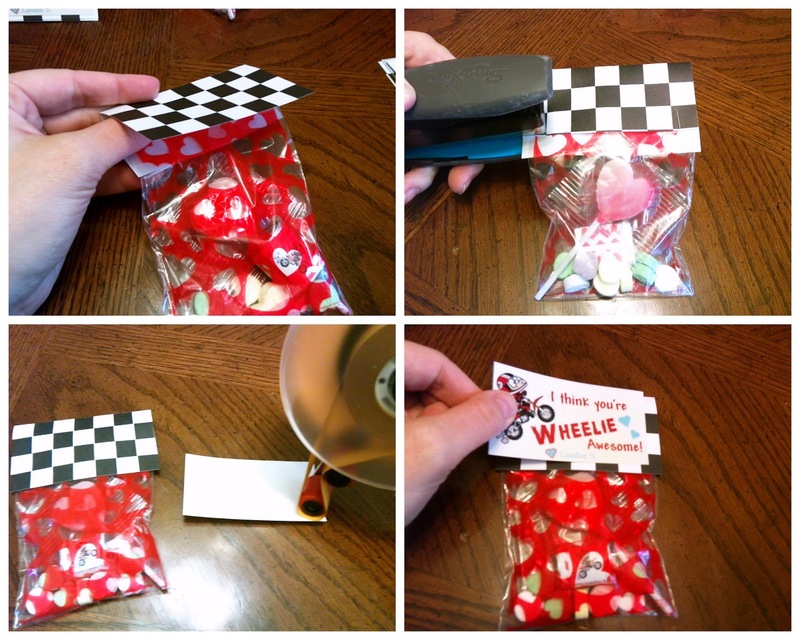 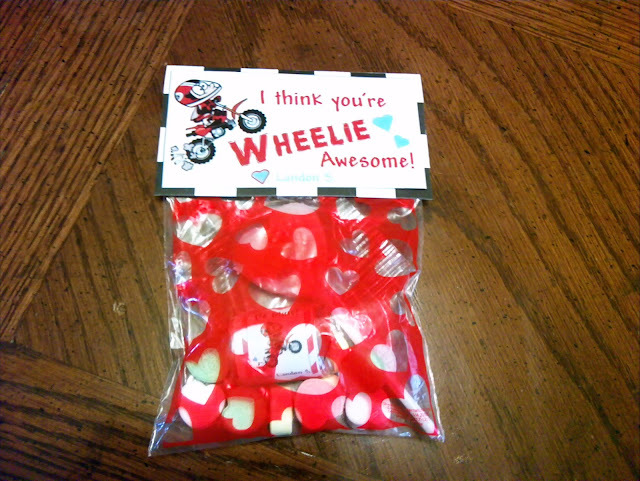 I found these cute zip-lock bags at the Dollar Tree, along with some candy. 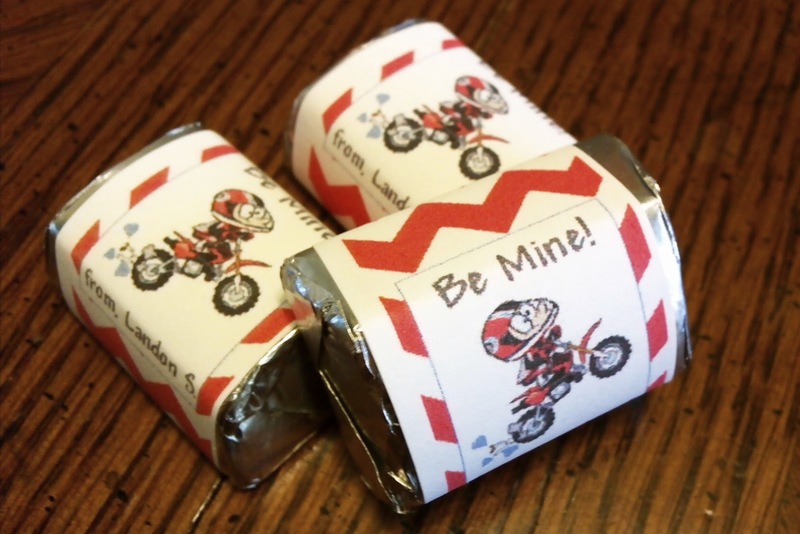 These are address labels I had sitting around, I ran them through the printer and wrapped them around Hershey's Nuggets. 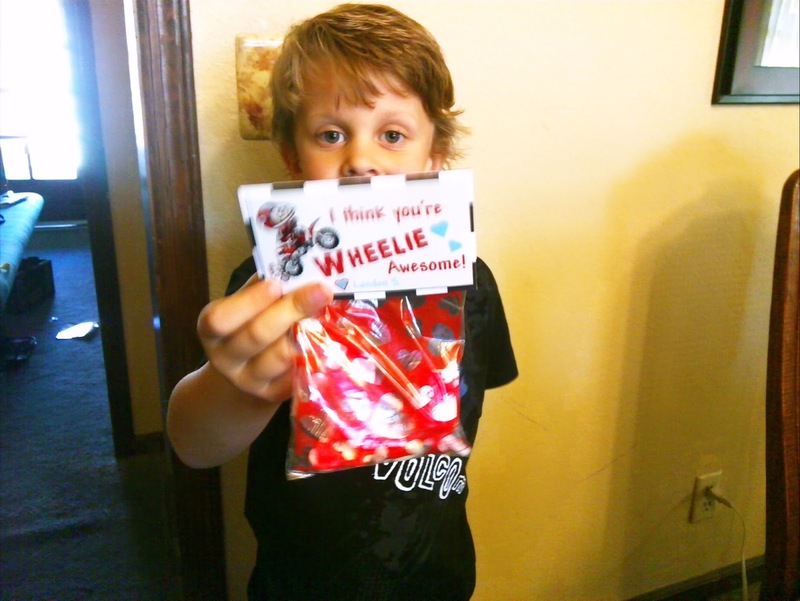 Landon stuffed the candy and I helped staple the toppers to the bags.